They sang songs of resilience, held hands and promised to continue fighting for environmental justice. 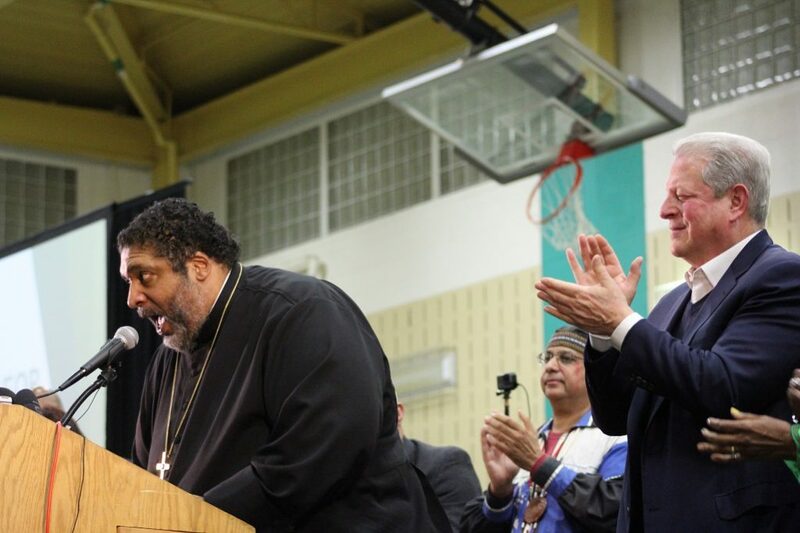 That was the scene Tuesday night in a middle school gymnasium where more than 700 people gathered to hear former Vice President Al Gore and a prominent civil rights leader, the Rev. William Barber II, draw connections between poverty, racism, and ecological devastation in denouncing plans for the Atlantic Coast Pipeline. Gore and Barber said the construction of a compressor station for the ACP in Union Hill would severely harm residents of that predominantly African-American community founded by former slaves after the Civil War in Buckingham County, about 70 miles west of Richmond. Dominion Energy says the compressor station is a necessary component of the natural gas pipeline, which would run 600 miles through West Virginia, Virginia and North Carolina. 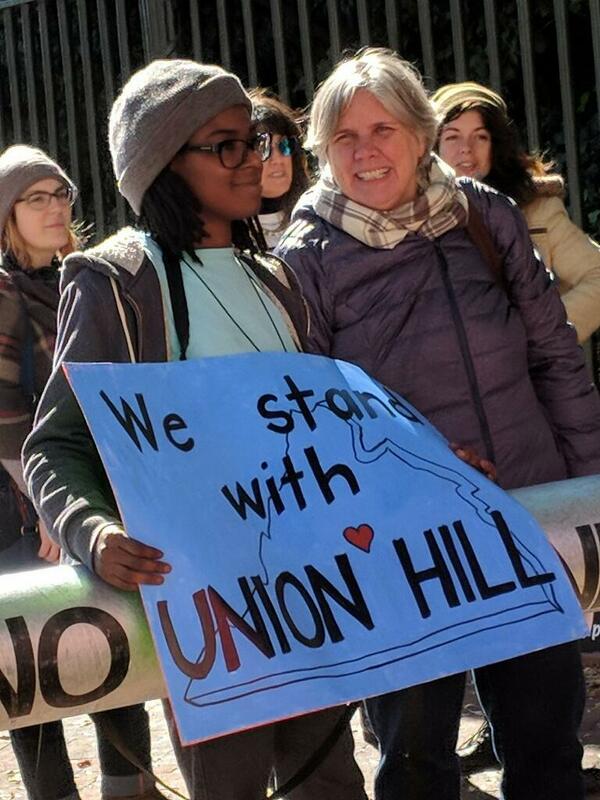 “Historic Union Hill is the wrong place to build the compressor station,” said Mary Finley-Brook, a member of the Governor’s Advisory Council on Environmental Justice. In August, the advisory council wrote a 12-page letter to Gov. Ralph Northam, urging him to suspend the air quality permit for the compressor station. Industries that emit pollutants are required to get such permits to ensure that the emissions don’t harm humans or deteriorate clean air. 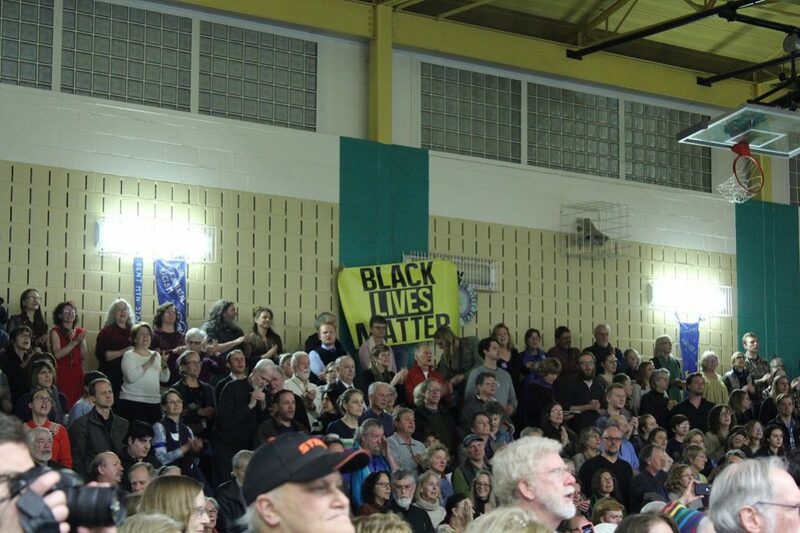 At Tuesday’s rally, singer Yara Allen led the crowd in songs of justice in the gym of Buckingham County Middle School. Barber, a Protestant minister from North Carolina and a member of the national board of the NAACP, then delivered a passionate speech, calling the construction of the pipeline a moral wrongdoing that disproportionately targets poor minority communities. “When God said, ‘Let them have dominion over the land,’ he was not talking about the company,” said Barber, drawing laughter from the audience. Barber said there is a reason why these types of projects are not located in affluent communities. Barber said more African-American political leaders should have been at the event, and he condemned Northam for supporting the pipeline. 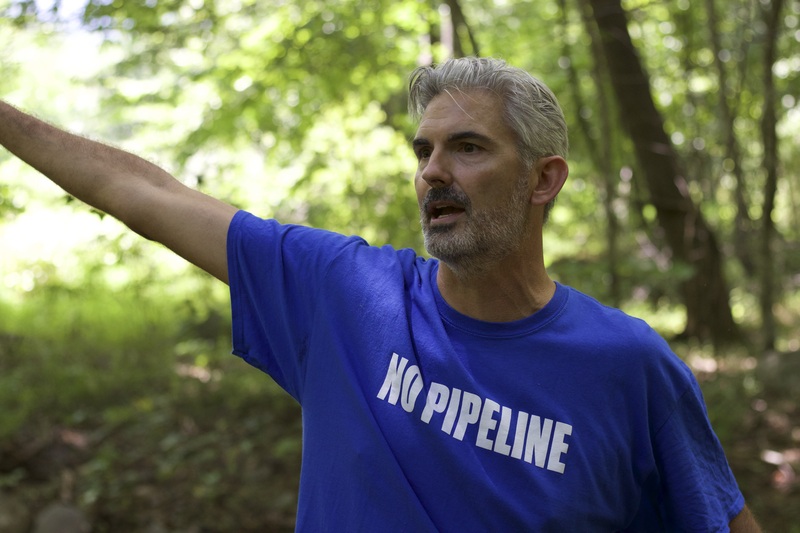 “If the pipeline is so good, request it to be in your backyard,” Barber said. Residents of Union Hill also spoke at the rally, saying the construction of the pipeline and compressor station would devastate land that is deeply valued and personal to them. Richard Walker, CEO of Bridging the Gap in Virginia, an organization that helps people released from incarceration, said the compressor station would run through land that has been passed down through several generations of his family. Residents said the properties in Union Hill are a fundamental economic resource. “For most of us, our property is the most valuable thing we have in terms of dollars,” said Irene Leech of Mt. Rush Farm in Buckingham. Leech, who raises cattle and teaches at Virginia Tech, said that landowners would have limited use of their property if the pipeline were built and that it would potentially tear through structures created by her grandfather. Gore said he never saw a more vivid example of environmental racism. Dominion and other companies involved in the ACP say that they are “good corporate citizens” and that they have “engaged extensively and meaningfully” over the past several years with resident of Buckingham County and Union Hill. “Working together with the residents of Union Hill, we are committing to invest $5.1 million in a series of community revitalization and public safety initiatives, including the development of a new community center and outdoor recreation area,” the companies state on a website promoting the project. Written by Maryum Elnasseh and Katja Timm, Capital News Service. Top Photo by Katja Timm. In the coming weeks, Virginia’s environmental and political future is set to see a potential shift. The past weeks were marked by upsets, confrontations, and accusations of corruption surrounding the Mountain Valley and Atlantic Coast Pipelines, and as a crucial vote approaches, the future is decidedly uncertain. 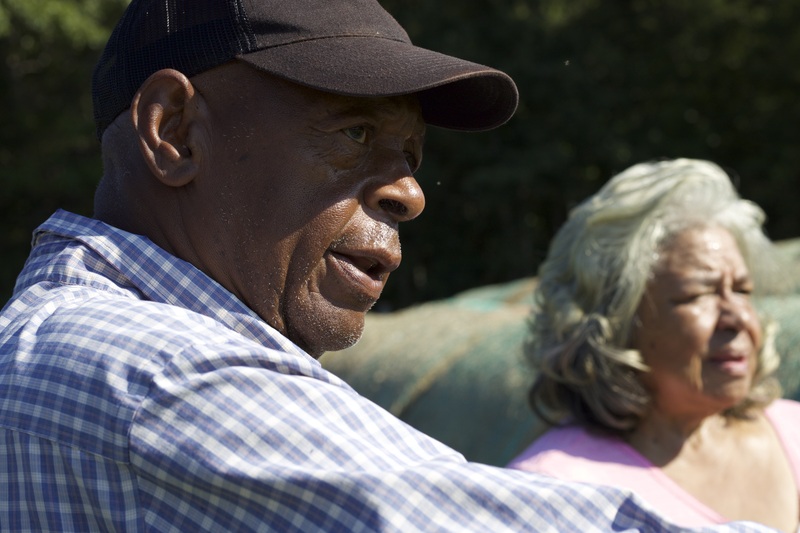 The path to this moment began on November 10th, when the Virginia Air Pollution Control (VAPC) Board delayed a vote to approve construction on an ACP compressor station in the historic, majority-black community of Union Hill in Buckingham County. The decision followed two days of public deliberation over the negative impact the pipeline infrastructure could have on the region, and represented one of the first major halts in the ACP’s progress. Previously, the pipeline has sailed through the approval process despite repeated objections and concerns from within and without the Northam Administration. “We are thankful that the Air Pollution Control Board has decided to take additional time to consider environmental injustice, site suitability, and cumulative impacts of the entire pipeline by deferring their vote on the air permit,” Virginia Interfaith Power & Light said in a statement released following the delay announcement. This nonprofit has been one of several groups opposing the construction of the Atlantic Coast and Mountain Valley Pipelines. They shared their concerns in a September meeting with Lieutenant Governor Justin Fairfax, whose position on the ACP and MVP has conflicted with those of members of the administration, including Governor Ralph Northam, as far back as the 2017 gubernatorial election. In the days following the decision, however, anticipation for the impending vote was replaced with a chorus of condemnation. This was a reaction to the dismissal of Rebecca Rubin and Samuel Bleicher from the VAPC Board by the Northam administration last Thursday. 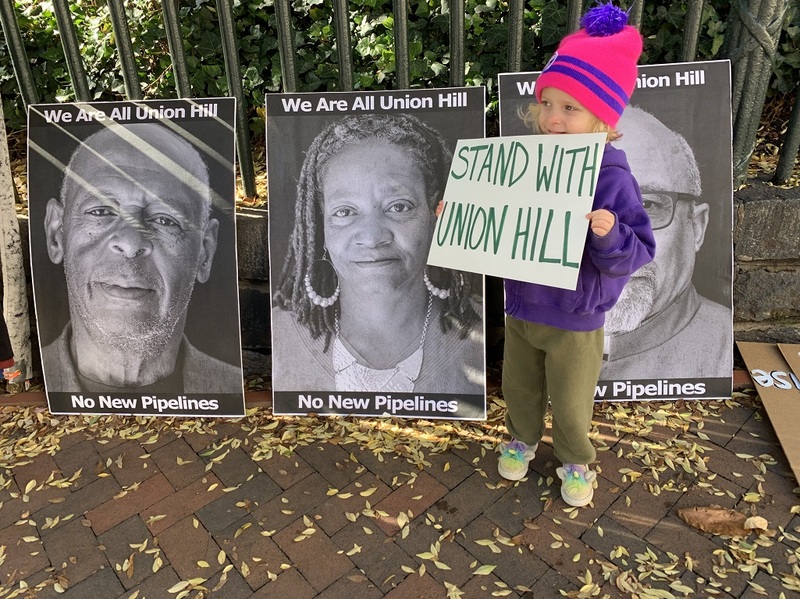 According to several environmental groups, their dismissals occurred after both raised concerns about the effect the compressor station would have on the Union Hill community. Though both of their membership terms had expired in June, the nature of their membership (which allows them to stay on the board until resignation or removal), along with a lack of explanation from administration officials, only further incensed those opposed to the compressor station, who have since called for Bleicher and Rubin’s reinstatement. The administration later named Gail Bush of the Inova Fairfax Medical Campus and Kajal B. Kapur of Kapur Energy Environment Economics, LLC as their replacements. “We believe that Governor Northam owes the people of Union Hill, and all Virginians, an explanation of this timing, clearly interfering in the deliberation and process of the Virginia Air Pollution Control Board’s permitting decision on the Buckingham compressor station,” Virginia Interfaith Power & Light said. Denouncing the administration’s move as “a stunning assault on the regulatory process,” the Virginia Pipeline Resisters took to the streets outside the Governor’s Mansion in the Virginia State Capitol earlier this month to protest the decision, joined by members of the Union Hill community. “The Governor’s decision has done harm to my family,” said Richard Walker, whose genealogy and landownership in Union Hill stretches over a hundred years, back to former Virginia slaves in the late 19th century. Adding to the voices of disapproval was Representative Sam Rasoul, D-City of Roanoke. Rasoul’s criticism was an unplanned addition to a press conference that focused on a report from Food and Water Watch on the “outsized political power” Dominion Energy holds over both chambers in the Virginia General Assembly, and Virginia politics in general. While the removal of Rubin and Bleicher from the VAPC Board hadn’t been fully confirmed by the administration at that point in the conference, Rasoul did champion the efforts of citizens in challenging the pipeline’s construction, calling the possibility of “the voices of the people” being ignored as a result of this decision “an injustice and an outrage.” Rasoul joins a number of General Assembly members who have praised those opposed to the pipelines and scrutinized Dominion’s operations in the state, including Mark Keam, D-Fairfax, and Chap Petersen, D-Fairfax. 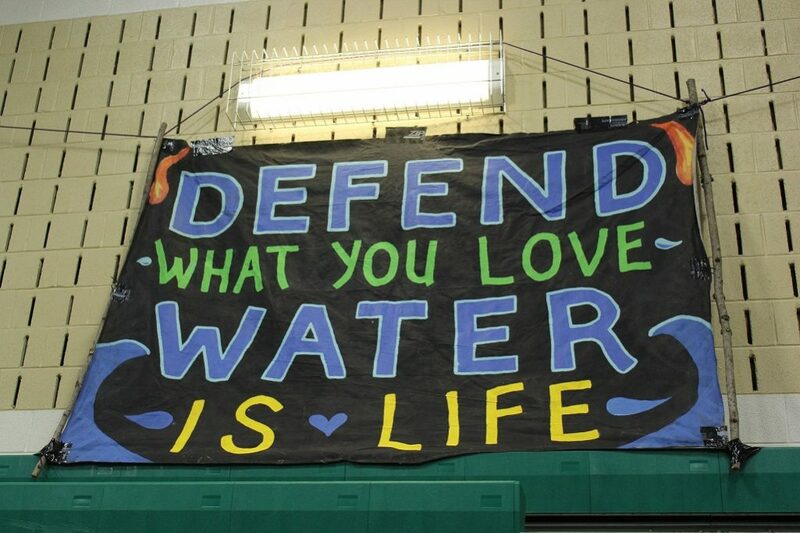 “I know that this administration and whoever else is behind it – Dominion Power, etc. – you will hear from us,” Rasoul said. Rasoul, along with Rep. Elizabeth Guzman, D-Dale City, has also introduced a House bill for consideration in the 2019 General Assembly session that would put a “moratorium” on approving energy facilities that use fossil fuels in the state, with an eye towards requiring 100% use of clean energy sources by retail electricity suppliers in the Commonwealth by 2036. Considering the extent of Dominion’s presence in Virgina, and how easily previous pipeline permits have been approved by administration officials, the December 10 vote on the ACP compressor station will likely set the tone for future deliberations on many aspects of Virginia’s environment and politics, regardless of outcome. The activists marshaled outside the Governor’s Office at the Virginia State Capitol, as they have every week since early February, in protest of the Northam administration’s continued approval of the Mountain Valley (MVP) and Atlantic Coast Pipelines (ACP). Following a brief demonstration and recognition of the lives lost from hate crimes at a Kroger in Kentucky and the Tree of Life synagogue in Pittsburgh, the group marched several blocks west to the Office of the Attorney General, chanting all the way. 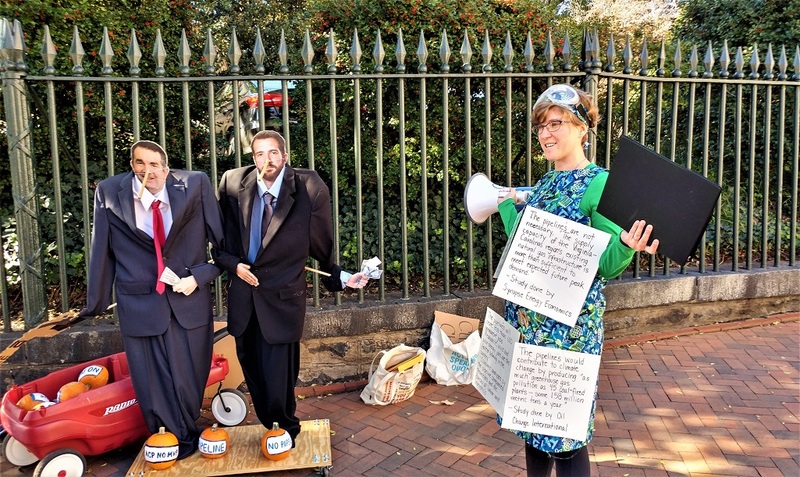 Their protest was joined by unexpected “guests”: life-sized props of Governor Ralph Northam and Secretary of Natural Resources Matthew Strickler, hands stuffed with cash, with cardboard rods sticking out from their noses. “They dressed as Pinocchio, which is fitting, because they’ve been telling lots of fibs lately,” Lovelace remarked. 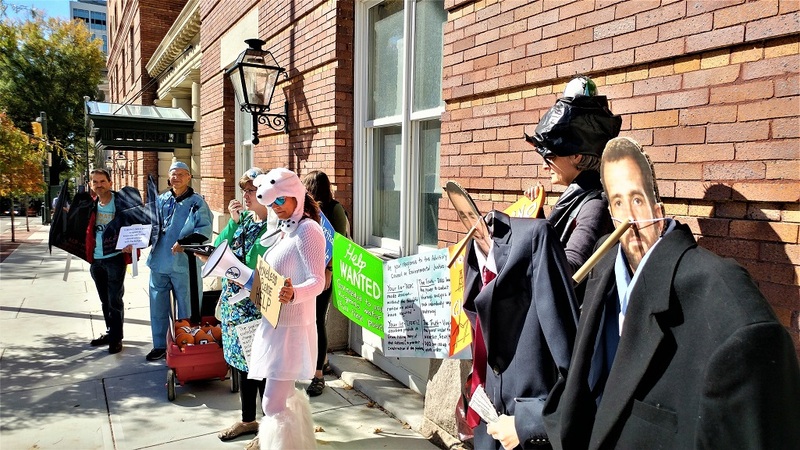 For her own costume, she wore posters with quotes from multiple studies about the pipelines’ potential to negatively impact the region. Dominion Energy was recently permitted to begin its 300-mile construction of the ACP, which will stretch across the Commonwealth and includes a compression station. The placement of that station in Buckingham County’s historic and majority-black Union Hill community has made it a particular focus of criticism for those opposed to the projects. Activists in Virginia, West Virginia, and North Carolina have taken a variety of measures to stem the pipeline’s progress across their states, from tree sit-ins to chaining themselves to equipment and more. Authorities have responded with arrests and the monitoring of activist groups by anti-terrorism agencies. These actions to stop construction have continued even as members of Northam’s own administration show their opposition to the pipelines. The Governor’s Advisory Council on Environmental Justice called for a halt to permit approval days before the APC was given the green light, while Lt. Governor Justin Fairfax has continued to lend an open ear to the concerns of the community, along with other public officials who have challenged the developments surrounding this issue. Speaking outside the the entrance to the Office of the Attorney General, Lovelace made an appeal to Attorney General Mark Herring, including a letter addressed to him personally, asking him to invoke the power granted to him by Section 401 of the Clean Water Act against the pipelines. 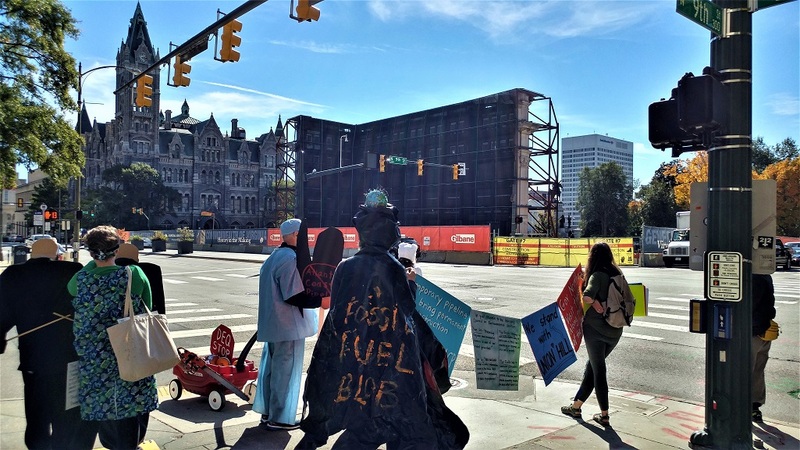 Along with their weekly protest, the Pipeline Resisters plan to stand with the Union Hill community during the public hearing on the ACP compressor station on November 8 and 9, alongside groups that include Water is Life and Friends of Buckingham. “We will be in solidarity with them and helping them with what happens that day,” said Jessica Sims, who leads the Pipeline Resisters with Lovelace. There’s something magical about standing in a place and realizing that in every direction you look, there are mountains. It’s as if you’re sitting in a natural fortress, or a protected oasis. 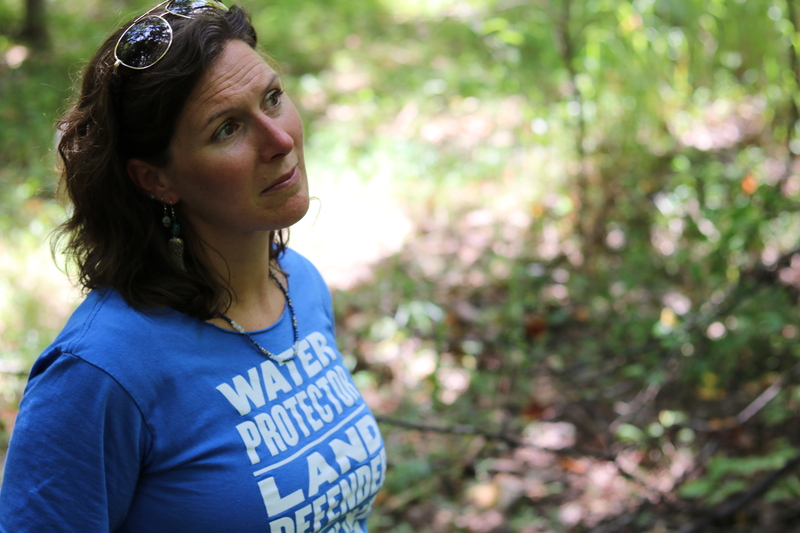 Walking on the soil that is slated to be uprooted by the Atlantic Coast Pipeline (ACP) and recognizing that this land could be stripped of that beauty is unimaginable, especially for the communities of western Virginia. A farmer and rancher, Laury and his wife Ruby have lived in a house they built upon moving back to Laury’s hometown in Buckingham County since 2004. The couple raise cattle for market and now own nearly 20 cows, which have become their source of income during what was meant to be their retirement. The Laury’s rural, quiet farmhouse is surrounded by open fields and bales of hay. A metal barn for livestock backs up to the house. Aside from a few brays from their two donkeys, the only sounds are those from bugs and the breeze. The ACP is proposed to run near their property line. There would also be a compression station located less than one mile from their home. This would not only disturb the Laury’s daily life, but create stress for their cattle. “They seem to target areas that are predominantly of black Americans, also poor people,” explained Ruby Laury. Their particular neighborhood is predominantly African-American, and according to the National Register of Historic Places, several areas within Buckingham have been declared historical. Groundwater pollution can be a side effect of fracking, as it requires the use of local well water to extract natural gas. Although the Laurys and many within and outside their community have sent letters, attended board meetings, and met with their local representatives, they have received little to no assurance that stopping the pipeline’s construction is possible. In 2014, the ACP partnership created plans to build a 600-mile underground pipeline stretching from West Virginia to North Carolina. The ACP alliance includes Dominion Energy, Duke Energy, Piedmont Natural Gas, and Southern Gas Company. The proposed pipeline would be 42 inches wide and have three compressor stations, which help pressurize natural gas and create efficient transportation. According to their website, the proposed route of the ACP has changed over 300 times to accommodate landowners and their properties, yet much of the pipeline running through Virginia counties such as Nelson, Augusta, and Buckingham will directly interfere with private homes and property. According to Ruby, over 70 percent of the affected landowners have already signed easement agreements for a project he assures will create several thousand jobs, an enormous boost in tax revenue, and a major reduction of greenhouse gases. 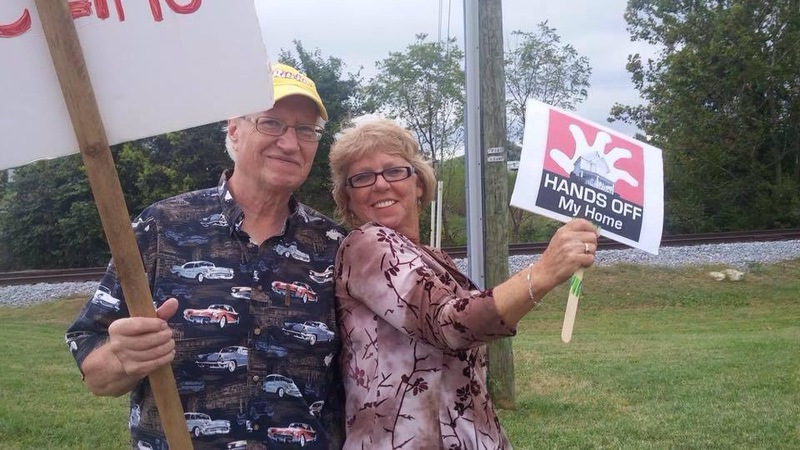 Ruby also confirmed that the Buckingham County Board of Supervisors approved the construction of the compressor station, despite worries from residents. 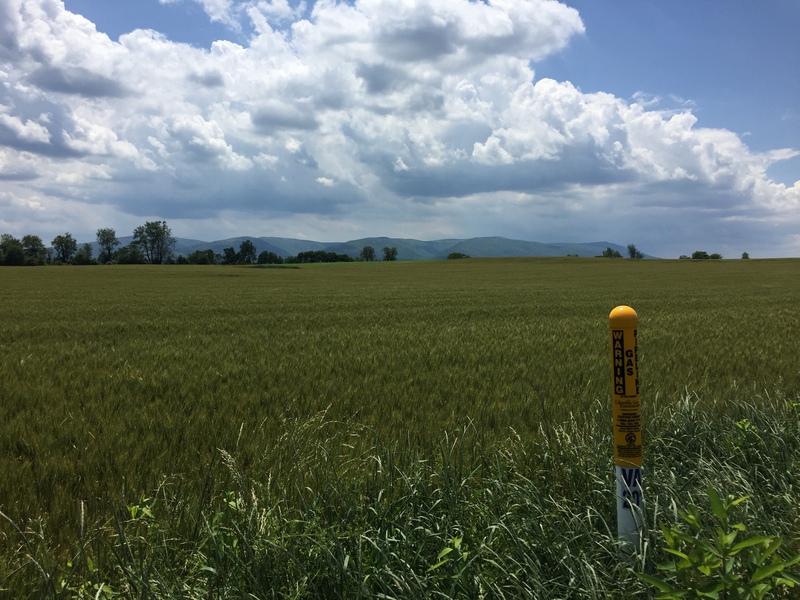 According to Virginia law, natural gas companies have the right to examine a property to satisfy federal regulation requirements without the landowner’s permission. However, according to the proposal for the line, Harmon’s rectangular acre of land would be entirely overtaken by the ACP during the two years required to build it. She not only worries for her own health, but that the threat of an explosion or leak could harm the rest of her neighborhood, as well. The public use of private property is possible through eminent domain, defined as the capability to expropriate private property for public use, given there is payment of compensation to that property’s owner. Eminent domain is extended to private companies if the company’s project is proven as a public utility and approved by the federal government. Those companies are then required to complete a mutual easement agreement with every affected property owner. “We took a hard line position from day one that really, we believe in a property rights and free market approach that allows every single individual along the route, at a minimum, to say yes or no, thumbs up or down to the pipeline,” said Richard Averitt, a landowner and businessman in Nelson County. Averitt originally moved to Nelson County in 2003 with his extended family to ensure a close proximity with his sister, who was diagnosed with AIDS in 1989. “As you can imagine with her condition, she can’t get life insurance. And she’s a global advocate and activist for AIDS so she’s not in a banking job. She doesn’t have the kind of retirement fund that would support [her daughters], so she invested in property as a way to have an asset to leave them. And the pipeline literally would bisect that property and render it more or less useless,” Averitt explained. Although his sister is still alive and continues to be an activist for AIDS-related causes, Averitt and his family wanted to create a sense of security by moving into the peace and quiet of Nelson County. Averitt recently purchased a large piece of property in addition to his own, which he intends to preserve and develop into a resort area worth $35 million and creating 125 permanent jobs. Averitt’s major concern about the politicians in Virginia is their willingness to accept corporate donations from Dominion, ultimately causing conflicts of interest within their constituency surrounding the ACP. According to Averitt, nearly all 140 elected Virginia representatives from both parties have accepted monetary donations from Dominion over the last ten years. According to the Virginia Public Access Project, Ralph Northam accepted $31,599 from Dominion Energy during this election cycle, while Ed Gillespie accepted $28,500. Although the ACP alliance gives compensation to the landowners affected by the project, those landowners will not receive transportation compensation once the pipeline is installed. Several landowners, including Averitt and Harmon, were sent letters stating if they did not allow surveyors onto their property, they would be forced to oblige through a court order. 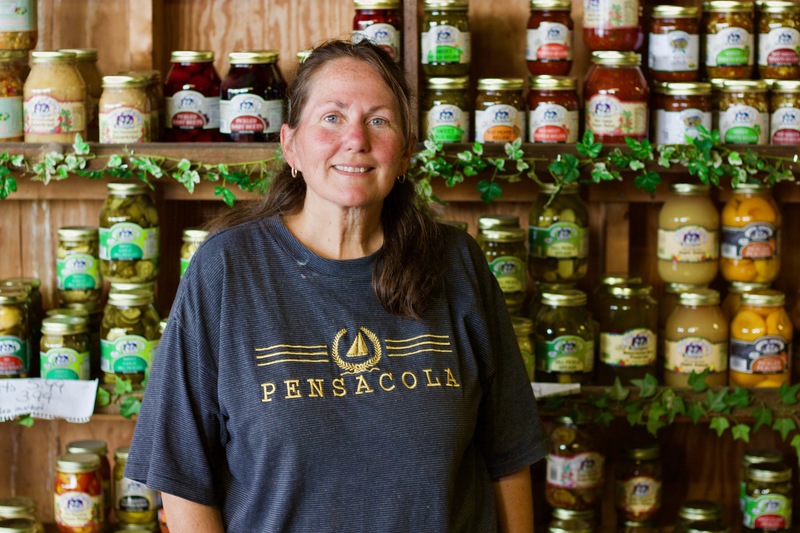 One of these landowners is Virginia Davis, the owner of a small produce market in Augusta County, whose property has been surveyed three times to document pre-existing cracks in her store’s foundation and who continues to receive survey requests. Davis, 58, has lived in this area of Virginia her entire life. The proposed ACP would follow her property line that encompasses both her home and her business. Despite their fears and worries, this perseverant country community continue to rely on their tenacity, faith, and further hope their voices may be heard. *Photos by Landon Shroder. Video by Jacin Buchanan.